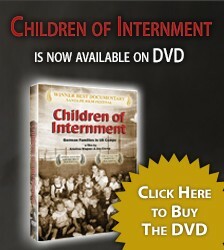 More good news for Children of Internment in the wake of our EMMY nomination! By the way, cross your fingers on July 18th, please. 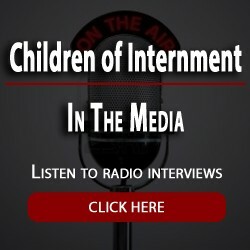 We have received confirmation that Children of Internment has been scheduled to air on PBS SoCal on August 1st at 8PM – with a repeat on August 2nd at 5AM. We're so excited to be on the flagship PBS channel of Southern California. Please tune in, if you can. If you're watching over the air, PBS SoCal is available on channel 50.1, as well as via most cable and satellite providers. If you miss it, feel free to let them know you would like to see it scheduled again. 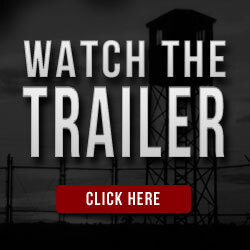 This entry was posted in Distribution, Screening, Television Screening by Joe Crump. Bookmark the permalink. That’s great news, so happy for you both, well deserved!! What an honor to be nominated! I’m so very excited for you. Next time!! Hi, I just want to say that it would be nice if this was shown in more than one region for you to gain more of an audience and that more people will become aware of this very important documentary. Kristi, so happy for you and your brother and all who worked to bring this information to the public. Tonya told me about it. Congratulations on EMMY nomination. Good luck.